FAVE Award Voting Closes Tomorrow! We wanted to send out a friendly reminder that we are entering into the final hours of the voting window for the FAVE awards! 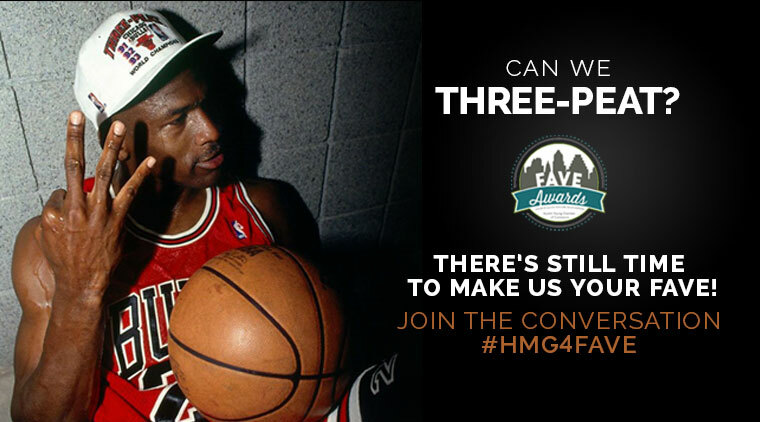 We have been nominated under “FAVE Small Business,” and we need your support for our quest to three-peat! For more information about the AYC and the FAVE Awards, click here. Voting ends tomorrow at midnight, so don’t delay! Head on over and cast your vote for not only us, but for all of you FAVE’s in the Austin area. There are lots of great companies nominated this year, we are honored to even be included on the ballot! We would surely appreciate your vote under “FAVE Small Business!” If you do vote, let us know! 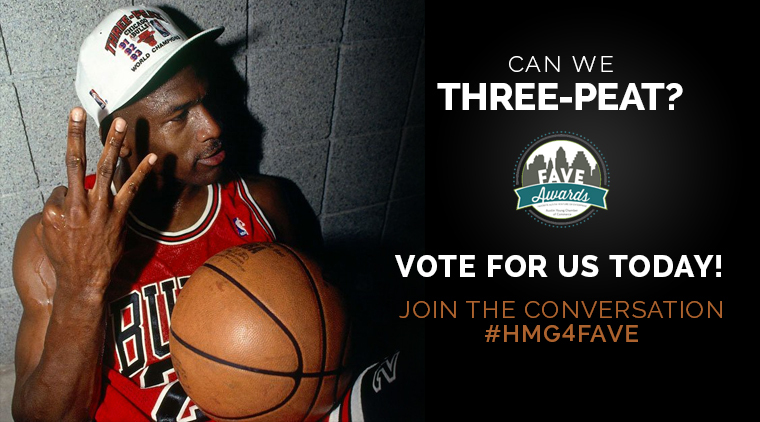 Give us a shout-out that you voted using the hashtag #HMG4FAVE on our Twitter or Facebook. We have officially made the Austin Young Chamber’s FAVE Awards ballot for a third straight year! This year, though, we are nominated under a new category: “FAVE Small Business.” As you can imagine, we’re so excited to have been nominated for our third time, and would love the honor of a “three-peat” – but we need YOUR help! Each Fall, the FAVE awards recognize local Austin businesses in a variety of categories and this year the winners will be announced at an awards ceremony on November 13th! The ballot is now open for voting and it only takes a few seconds to complete. You can only vote between now and September 18th, so don’t delay! Again, we’re nominated under the FAVE Small Business, but please feel free to cast your vote in as many or few categories as you like. Our category is full of some awesome local organizations such as: Haney Law Firm, Hay Legal Group, New Waterloo Management and Patriot Pool & Spa. We are very excited to see how things turn out!